We'll visit a perfectly preserved ancient Roman condominium, or insula, found below the actual church of S. Giovanni & Paolo. It's located on the Caelium hill, one of the most densely populated district of ancient Rome. We'll deal with the living habits of the Ancient Romans while recalling the transformations the house had from the 2nd to the 5th Century. 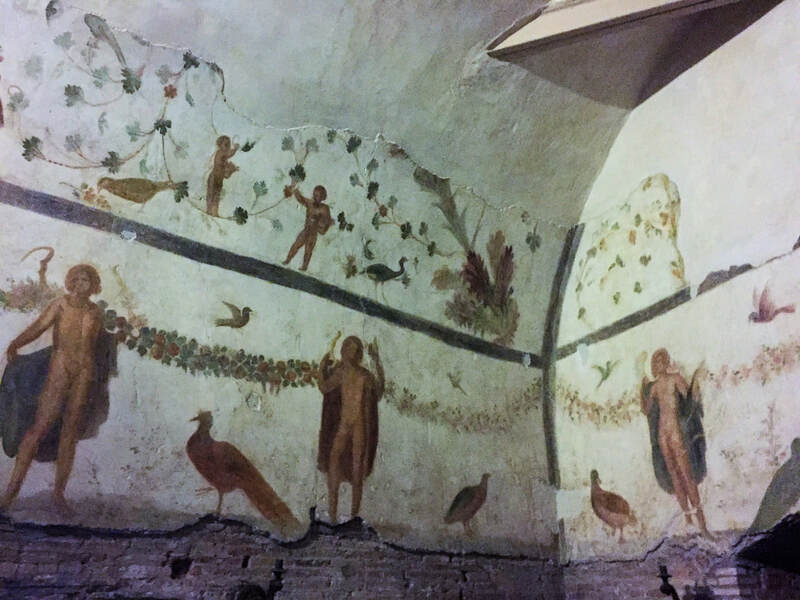 The Roman condominium was later transformed into a domus ( house for a single family) , richly decorated with vividly preserved frescoes. Eventually that became a sacred early Christian shrine. Near the Roman houses ,surrounded by ancient ruins, we will walk by the Christian chapels and the church of San Gregorio blossomed in the Middle Age. 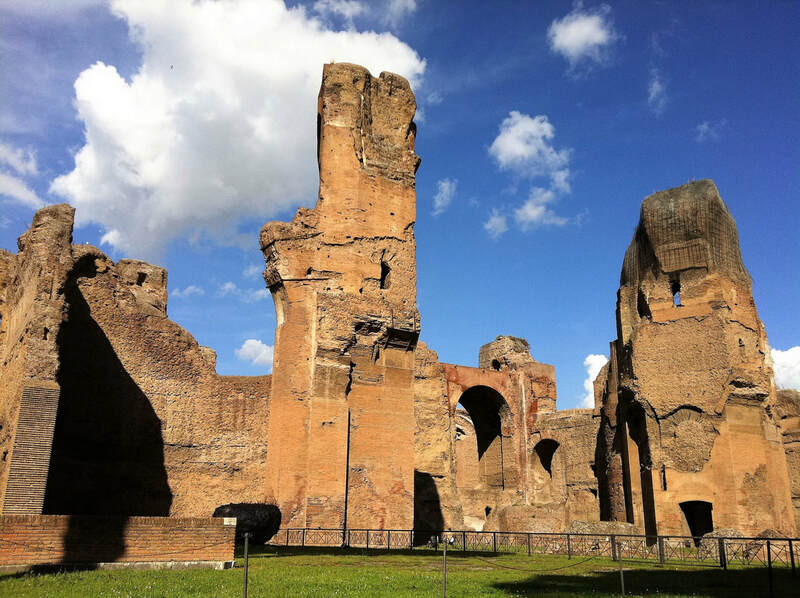 We'll reach the bath of Caracalla, once the second largest in Rome, located along the old Appian way. 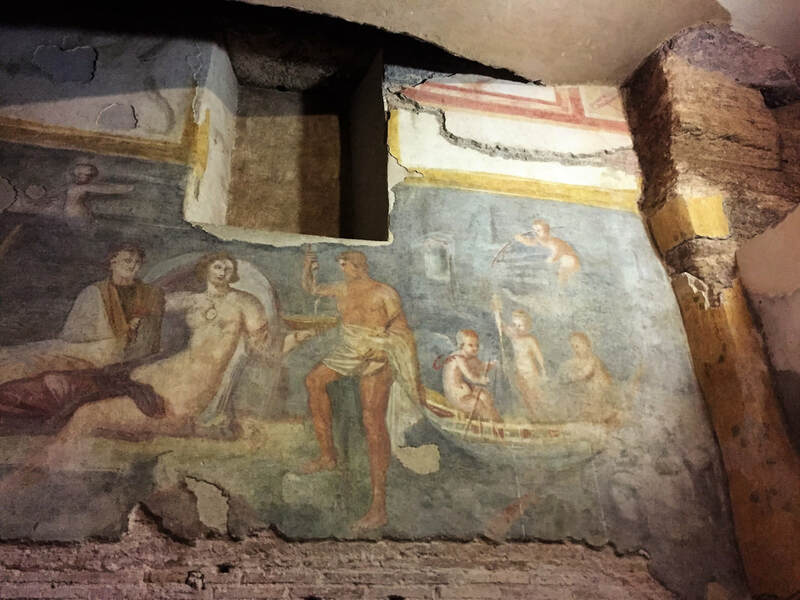 Built and named after emperor Caracalla in the III Century AD, it was perhaps the most luxurious bath ever built in Rome. ​The complex is still impressive now, and allows to imagine and to visualize the original splendour of the architecture and decoration. There were gymnasiums, areas with pools of different temperature, saunas, libraries, leisure gardens, fountains and room for 1600 bathers. 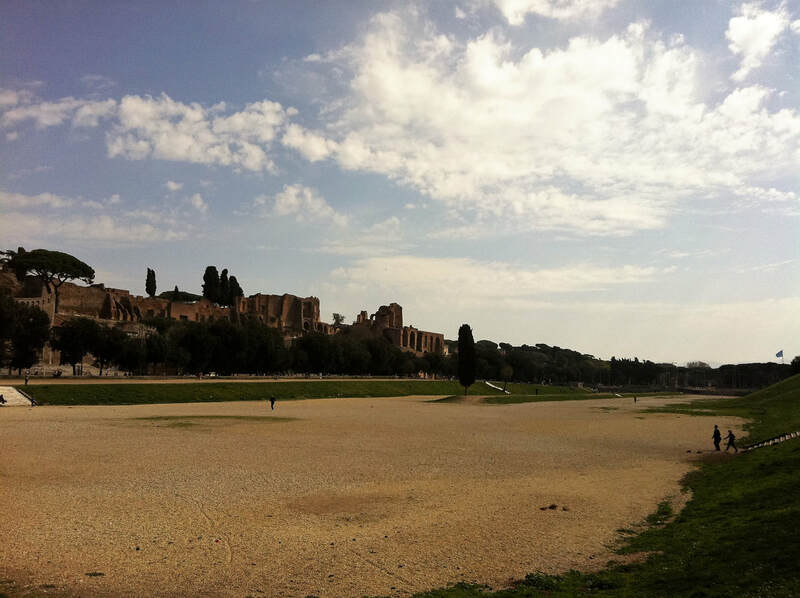 The visit will continue to the valley between the Aventine and Palatine hill, that once was the seat of the Circus Maximus. The Ancient Romans had a passion for chariot races comparable to the one we now have for our favorite sports. The circus was built several times and housed more than 250.000 spectators.